A Walkman was the ultimate device to have back in 1990s. I remember my first experience with a Walkman: That effect has not been matched by a lot of other experiences. I carried 3 of them during my teens and college years. Here’s a tribute to the iconic Walkman which is now history. Almost precisely on the ninth birthday of the iPod, Sony Corp. announced that it will cease production of the Walkman, the iconic portable cassette player once seen clipped onto belts or waistbands of joggers around the world. The timing may be sheer coincidence, but its significance is unmistakable. The iPod may not have laughtered the Walkman on its own, but just as the Walkman did in a previous era, the iPod has become almost a generic term to refer to the portable music players of its time. On the surface, the demise of the Walkman seems really to be about the demise of its medium of music delivery: the cassette. In 2009, only 9% of all the music sold was carried on cassettes, and most major companies have stopped producing pre-recorded tapes. But the Walkman was about more than just the cassette; we don’t remember, for instance, the brand of an LP player the way we do the Walkman. Perhaps it was because the Walkman pulled off the ultimate human dream for music: to free it from the constraints of space and time, to be accessed wherever and whenever the urge strikes. 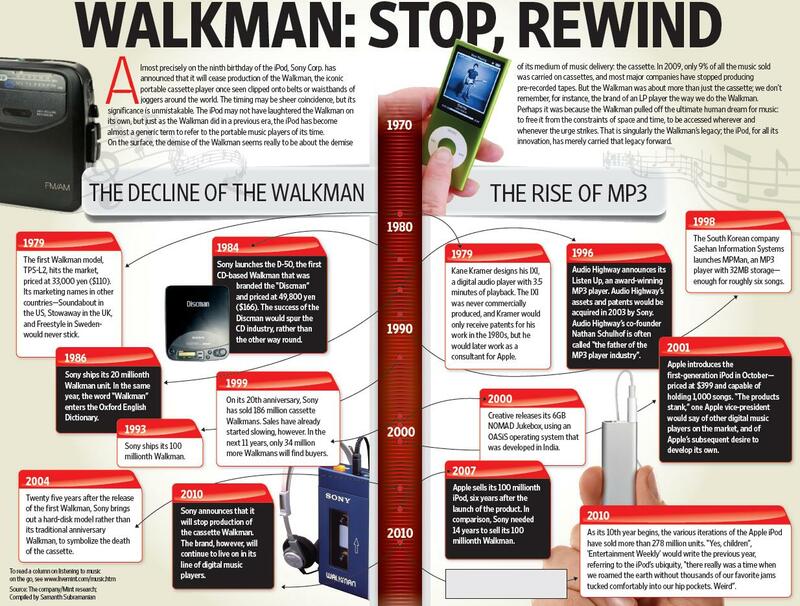 That is singularly the Walkman’s legacy; the iPod, for all its innovation, has merely carried that legacy forward. Continued from an earlier post, which tries to explain why Apple is Apple, a cult brand, a maverick, one of the highest market cap compnaies in the world and a huge money minting machine. It may have detractors against its “closed”/”walled garden approach” but the bottomline is that with 3% of market share by volume, Apple contributes 48% of the smartphone profits. 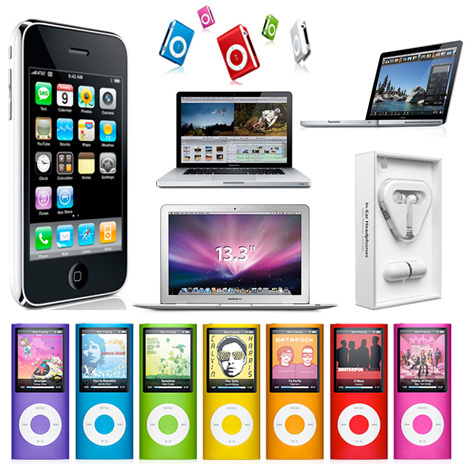 The lean portfolio with only a handful of products, each selling in great quantity allows Apple to buy components in massive quantities.Except for iPhone 4, all iPhones and iPod touch use the same display for 3 years now. They have 5 notebooks and 3 of them all use the same 13-inch display. Something like 75% of the CPU’s they have used in the past 5 years are Intel Core 2 Duo, and the rest were Xeon, with the exception of the recently added i series. Similarly, they use the same OS X core operating system on all of their devices. The kernel in iPhone 4 on an A4 chip is the same kernel as Mac Pro on 12 core Xeon. When they added Exchange to iOS, it showed up in Mac OS in the next release because they had actually added it to OS X, which is under both iOS and Mac OS. That builds huge economies of scale for Apple reducing the cost overheads of spares and components. Apple had only used one iPhone display for 3 release of its iPhones, and they used it again in iPod touch. They probably bought 100 million of that exact same display, and they are still buying and using them right now in the low-end iPhone and the iPod touch. They paid much less per phone for the display than what the display cost on any other phone, which typically sell less than a million devices each. The 90 Android phones are each a custom job, much more expensive, much less profitable. Henry Ford was once quoted that if he had heard his consumers, he would possibly never have made a car. He would have built faster horses instead. Apple doesnot possibly look at the MBA-style consumer approach methodologies in terms of determining its products. Apple’s understanding of the “need” bolstered with great judgement of world class design, starts with no consumer particularly.Add to that,state of the art software, OS and iTunes make it an undefeatable combination when it comes to PROFITS.It moves through the cycle of enthusiast, tech geek, prosumer, maven route before massifying itself into mass consumer usage. Apple has two other iOS devices, the iPod Touch (due for a refresh this September) and the iPad, that are absorbing profits from other segments of consumer electronics; music, casual gaming, and soon, photography, video, and in the not too distant future, near field wireless. all making platforms for advertisers or hardware makers or wireless carriers instead of making the best consumer product. 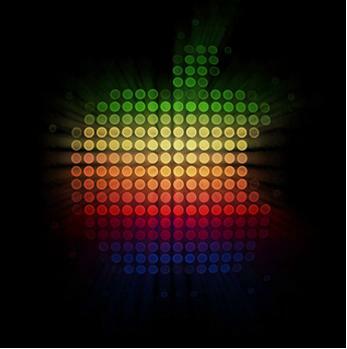 Apple thus is leveraging the same platforms for accessing different consumer segments and usages. 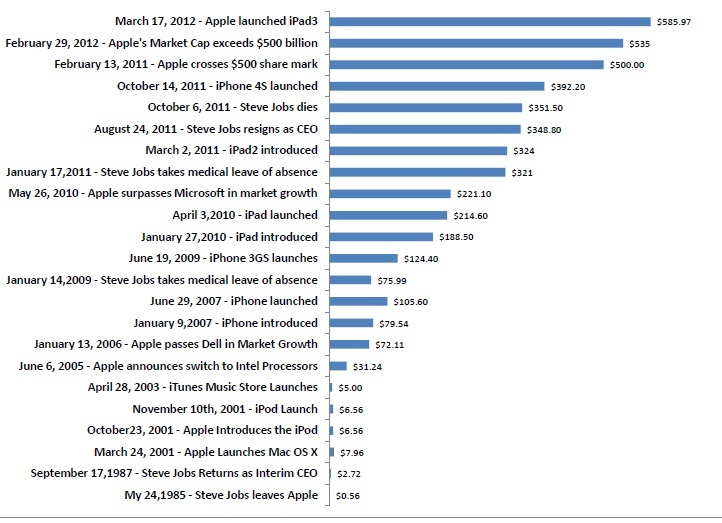 What makes this special is the Apple “way and design” which helps redefine the markets, consumers and product segments. Two years and 49 days after its launch, the Apple Apps store passed the quarter million applications milestone just in time for the September Apple event. 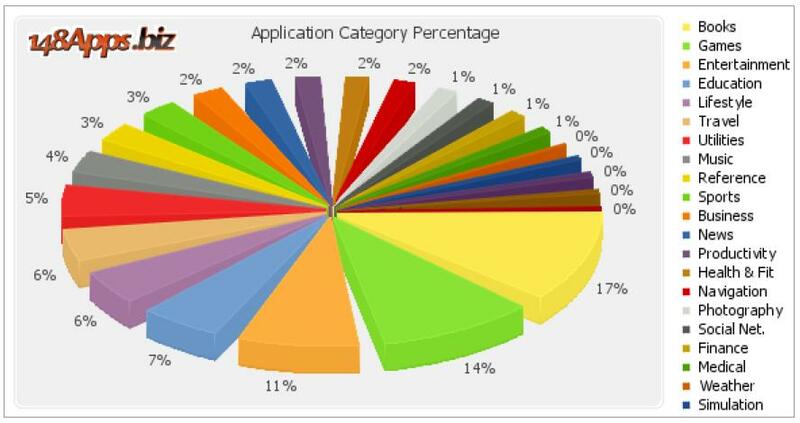 There were 251,007 applications from 50,304 publishers available for download for the iPhone, iPad or iPod touch. Appshopper.com estimates the total at 253,777 apps, including 24,334 for the iPad. This one is “One Up” for Apple: 70% of app download on Apple are paid apps which pales Google’s 36% paid apps. New stats from 148Apps state that books (with 17%) have now overtaken games (14%) and entertainment (11%) in the Apps stores.The Apps store has downloaded 5 billion Apps downloads.The Apps store has generated a revenue of $249 million for Apple since its launch 2 years back and is on the verge of breaking even on its costs. •	$1 billion generated for developers since the store launched on 7/10/08 suggests gross app store revenue of $1.4 billion, $429 million of which Apple keeps after paying the developers’ 70% cut. 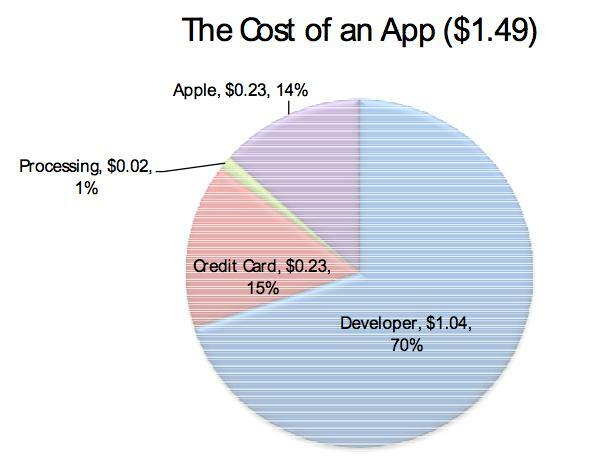 •	App pricing data suggest that 81% of apps are free and 19% are paid, with an ASP (average selling price) of $1.49. •	Apple’s gross margin on the App Store is about 44%, according to Munster, assuming 70% goes to the developer, $0.20 plus 2% of the ASP to the credit card company, and 1% for storage and delivery. •	Apple has generated a total of $33.7 billion in gross profit since the App Store launched, to which the App Store has contributed $189 million, or 1%. •	Over the same time period (Q4 2008 to Q2 2010), the entire iTunes store has generated $3.6 billion in revenue, to which the App Store has contributed $429 million, or 12%. Munster’s numbers suggest that iPhone, iPad, and iPod touch users download more than 16.6 million apps per day, nearly double the 8.9 million daily rate of iTunes tracks downloaded. In an earlier post,i had posted about how the wealth distribution in the smartphone markets is increasingly getting skewed towards Apple with its iPhone.Apple Takes 48% of the Earnings from Smartphone sales globally with only a 3% market share of the smartphones. That compares starkly against Nokia which has 40%+ smartphone share and only 22% of its earnings share. 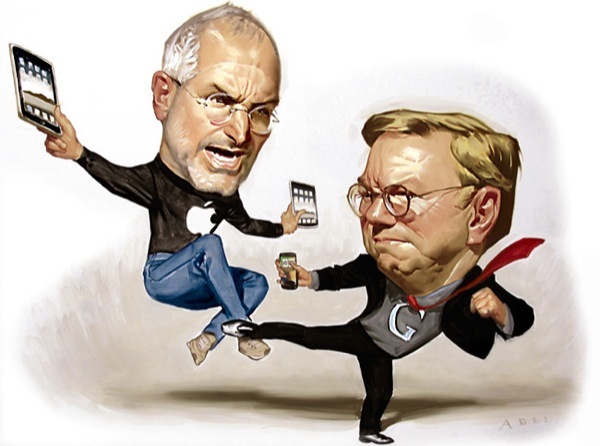 This post examines the reason why Apple is able to command that kind of margin from the carriers and mass emotional appeal from its consumers, which thus make it one of the most profitable companies. An Apple iPhone has a BoM (Bill of Materials cost, production cost) of less than $200. However, it sells at $645 to customers (Carriers) who subsidize it. Very clearly, Apple is able to dip into the service revenues generated by the carriers from higher data usage. By front ending the realization upfront with a $645 price tag (which is 3X the production cost), Apple is able to cover its costs and future risks. To make this happen, Apple surely has the best hardware which compels people to move to a higher ARPU and do so enthusiastically. (Call that Branding at an emotional level, something Apple does best). There are very few and far between instances when the proposition has been strong enough for consumers to move to higher price points.There are several devices which have data capabilities and yet they are not competing with iPhone on the subliminal emotional levels. That possibly is Apple’s biggest connect with the consumer “want”. 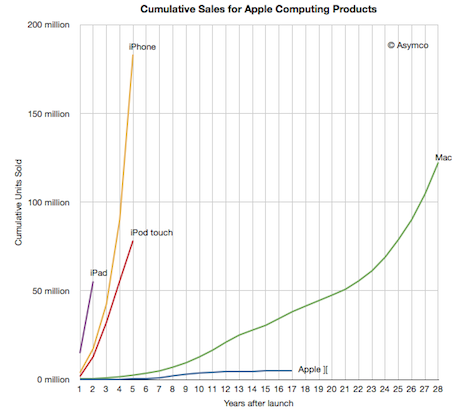 Why is Apple more profitable than Microsoft or HP? 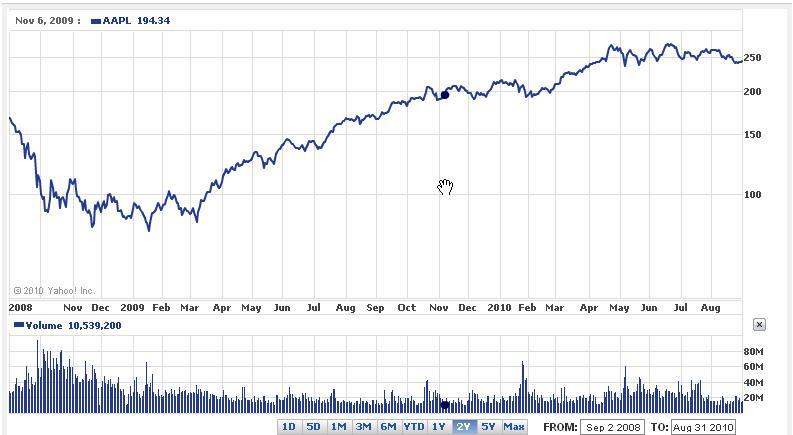 Why does Apple command one of the highest Market Caps globally?2. The main reason Apple is more profitable than their competitors is Apple makes highly-profitable software and services, not just low-profit hardware. Apple is more profitable than HP and Microsoft because … Apple takes both the HP part of the profit on a PC/Device/Hardware and the Microsoft part of the profit on a PC on the software/OS/Browser, and in some cases, the retail part of the profit. The iOS, iTunes and the Safari browser make up for great experience on the device through stunning software. The mastery over Software precedes Apple’s competence with great devices. 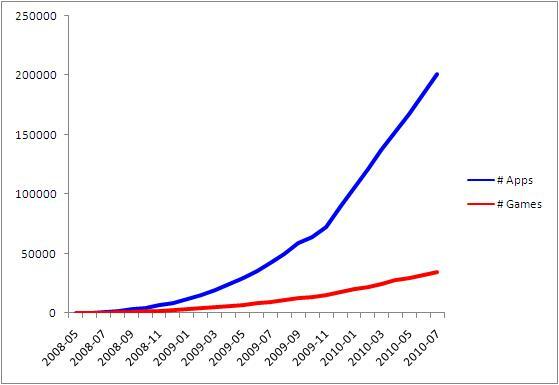 Remember it was Apple who made the first Mac OS before Microsoft took it mass.Apple is close on the 250,000 milestone in terms of numbers of apps in its Apps store. The user walks in with a problem, and Apple provides a solution made up of a combination of hardware, software, online services, support services, training, accessories, and even culture. Apple users pay for that entire package. Apple has its own SOC (system on a chip), battery technology, unibody construction, etc. which give it an edge in portability, battery life and speed. After Jesus Phone (viz iPhone), the iPad ought to be the Mosses tablet! Apple Inc CEO Steve Jobs took the wraps off the “iPad” tablet on Wednesday, the 27th January, making a big bet on a new breed of gadgets that aim to bridge the gap between smartphones and laptops. The iPad is Apple’s biggest product launch since the iPhone three years ago, and arguably rivals the smartphone as the most anticipated in Apple’s history. 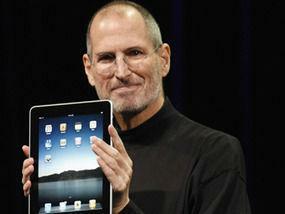 The iPad turns out to be a cross between the Laptop and a iPhone. 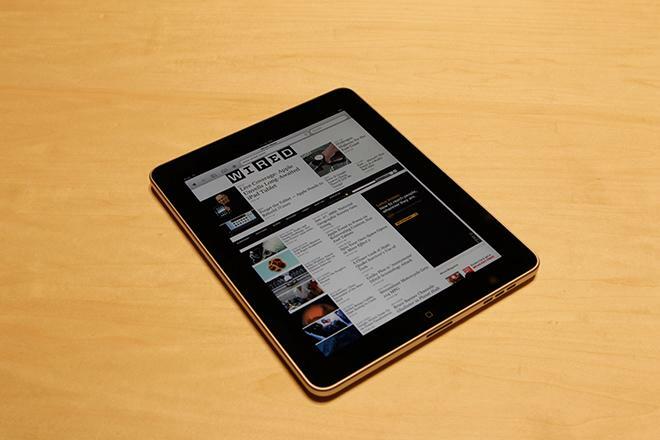 The touch-screen tablet-shaped gadget acts as an ¬internet browser, computer, music and film player, and an e-reader that can download and display books and newspapers. With a 9.7-inch screen and weighing just 1.5lb Apple is banking on the device generating massive global demand for a new generation of less costly computers. Prices are expected to start at £309 for the iPad with the smallest memory and WiFi internet connectivity, rising to £513 for the biggest memory model and a faster 3G internet connection. It goes on sale in the US in March accompanied by the debut of a new Apple online shop called iBooks where customers can buy and download “e-books” in the same way as iPod and iPhone users download music from the iTunes store. The books project follows a deal between Apple and major publishers including Penguin and Harper Collins. The iPad has a near life-sized touch-screen keyboard on which users type directly. Objects on screen can be manipulated with fingers, as on an iPhone. The iPad feature set (from its first looks) is as follows: Apple’s own 1 GHz Apple A4 chip, 16 – 64 GB of Flash storage, Bluetooth 2.1, 802.11n, 10 hours of battery life, Speaker, microphone and 30-pin connector, Fully multi-touch Capacitive screen, 9.7 inch IPS LED backlit LCD, Half an inch thick, Accelerometer and Compass,3G UMTS/HSPDA and GSM/EDGE data (optional), Assisted GPS and Digital Compass (3G version only),3.5mm headphone jack,VGA out support or AV out via dock connector and converter cable. Despite the buzz surrounding the launch and Apple’s storied golden touch on consumer electronics, the tablet is not necessarily an easy sell, analysts say. Consumer appetite for such a device category has yet to be proven, though plenty of devices such as Amazon.com’s Kindle e-reader are vying for that market. Apple’s task is to persuade consumers that they should buy this “third category” product if they already have mobile phones and laptop computers. Apple’s design and marketing expertise would ensure the iPad was a sure-fire hit with customers. 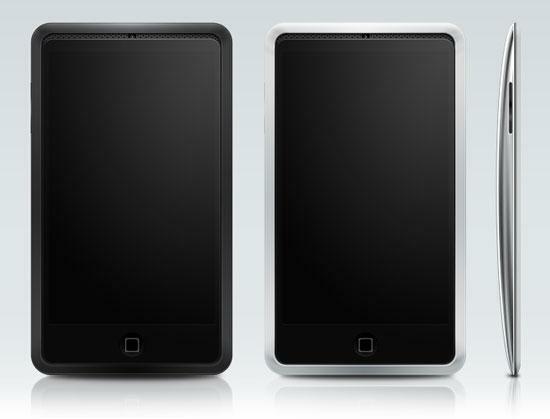 The iPad is essentially a big iPhone but with more functionality so it is a scaled-up iPhone. For the category to succeed, the iPad really needs to capture people’s imagination and act as a catalyst for a whole new ‘pad’ format. The e-reader thing will be quite key because they seem to have been growing more popular since Christmas and with Apple’s competencies in gaining access to content and distribution, this can be a clincher. You don’t bet against Apple anyways. As iPod sales wane, Apple is looking for another growth engine and hopes to find one in the tablet. But the move is not without risk. Consumers have never warmed to tablet computers, despite many previous attempts by other companies. In an online poll on reuters.com, 37% of more than 1,000 respondents said they would pay $500-$699 for the tablet. Nearly 30% weren’t interested, while 20% said they would pay $700-$899.Analysts’ sales predictions for the tablet vary widely, with many believing Apple can sell 2 million to 5 million units in the first year. Even while at being on the top of its business, Apple explores an overhaul of the way it sells and stores music. Apple Inc., the company that restructured the music industry around its iTunes service, is exploring an overhaul of the way it sells and stores music that is aimed at extending its influence to the Web. The key vehicle for the move is Apple’s newly acquired music-streaming service La La Media Inc. for which Apple paid $85 million. 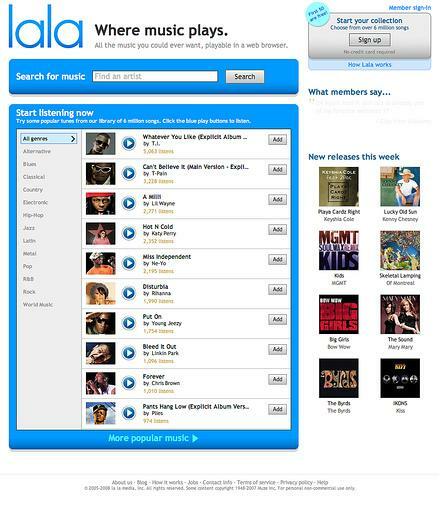 As part of the move, Lala executives have been given key positions helping shape music strategy for the iTunes Store. Where Apple’s iTunes requires users to download music onto a specific computer, Lala.com lets users buy and listen to music through a Web browser, meaning its customers can access purchases from anywhere, as long as they are connected to the Internet. Apple is considering adopting that same model for songs sold on iTunes, a change that would give consumers more ways to access and manage their iTunes purchases—and wouldn’t require them to download Apple’s software or their purchases. This new business model extends Apple’s grip on the music business, giving it the ability to sell music through search engines and other Web sites and broaden its reach beyond people who come to its virtual store. For consumers, such changes could make it far easier to manage and access large libraries of music, which need to be stored, maintained and backed up on computer hard drives and portable devices. Record company executives said that they are optimistic about the prospect of consumers being able to buy music from more Web sites, but cautious about any development that would add to Apple’s already significant power. Apple, surpassed Wal-Mart Stores Inc. last year as the biggest music seller, and will generate about $2 billion in iTunes revenue this year, estimates Piper Jaffray & Co. That’s about 20% higher than last year, the brokerage firm estimates, but growth has slowed over the past several years as most people now own iPods or iPhones and it is adding fewer new users.ITunes is also facing pressure from competing services that allow users to listen to “streaming” music either cheaply or free on computers or portable, Internet-connected devices like the iPhone or iPod touch. Streaming has been at the heart of Lala’s strategy for the past two years, in the form of what the site calls “Web songs,” which cost 10 cents and are accessed via a Web browser. The proposed changes would represent a fundamental redefinition of what it means to own a song, movie or other piece of media—shifting the emphasis from possession of a physical disc or digital file to the right to access content.Certain legal issues remain hazy: If music becomes a virtual product, it isn’t clear how Apple might be able to guarantee a buyer would retain access to a song in perpetuity if, for instance, a new owner gained control of a record label’s catalog and changed the terms of its deal with the retailer. Lala has partnerships that allow it to sell songs from links embedded on sites as major as Google Inc. and as specialized as the indie-music site Pitchfork Media. Adopting that strategy would represent a major departure for Apple, which has always relied on what is known as a walled-garden approach in which its machines run on proprietary software. But that closed-system approach has limited its sales reach to people who deliberately log in to its online store. Apple has revisited its iTunes strategy from time to time and had discussed the impact of streaming music services like Lala and Pandora Inc. in the past, but it believed that people want to own their music on hardware. This is the first time, Apple has set its sights on streaming music from the cloud. The shift could reopen an uncomfortable topic between Apple and the music industry. Record-label executives were relieved in 2003 when Apple launched what was then called the iTunes Music Store, which appeared to be a virtual lifeline in a growing sea of illegally downloaded songs. But they have since also become frustrated that the service’s dominance of the market has made it into a gatekeeper with what they view as undue sway. In addition to selling music, Lala’s software also scans a user’s existing music library and matches its contents with songs on its own servers, then gives the user access to that music via a Web browser. That approach, known in technology circles as cloud computing, could also be part of a revamped, Web-based iTunes, according to the people with knowledge of the talks.It is also possible that Apple would use Lala’s streaming technology as the basis for a subscription service, for which users would pay a flat rate in exchange for unlimited access to music. Such offerings already exist but have never gained much traction with users, mainly because most don’t work with iPods or iPhones. 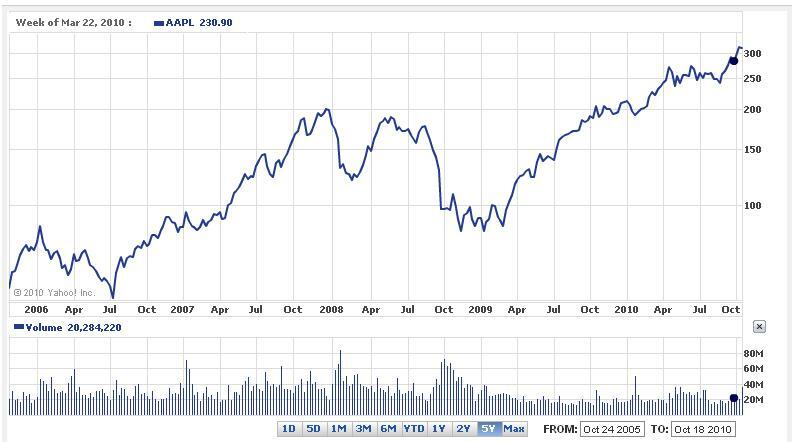 Apple has continued defying doom-sayers and detractors after its June 2007 launch of the original iPhone. June launches for the year was the way Apple defined the game. Apple’s June has been a global event that has captured the fancies of tech geeks and media enthusiasts across the world. iPhone was the device which turned the conventional definition of smart-phone world upside down. 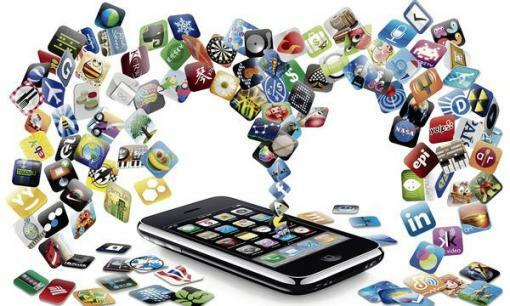 It introduced Mobile Apps to the Smart-Phone world. 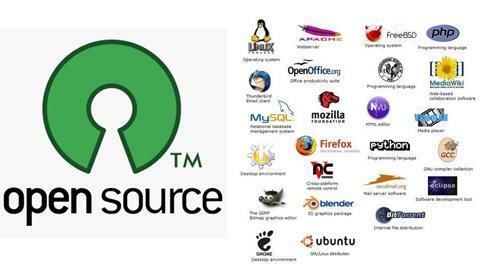 It re-defined the way consumers accessed their devices and revolutionized the UI. Even as the user and developer community marveled at the revolutionary touch design, for Apple it was only a step forward from the iPod Touch into the smart-phone space. 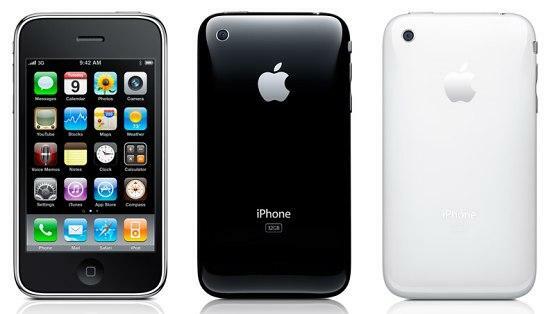 After the success of the iPhone, Apple upped the ante with the iPhone 3G which was a partial improvement on the iPhone 3G. Apple only added the HSDPA 3G capability in the second coming. Apple did not otherwise add much to its 2007 best seller. However, the iPhone euphoria was good enough to cruise the iPhone 3G to the history books. 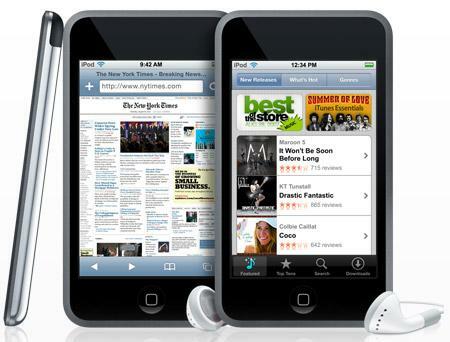 It was the proliferation of applications on the Apps store which added to the sheen of iPhone 3G. Given the migration of the US and European markets to 3G and beyond, it was about time in June 2009, that Apple released iPhone 3GS with a 600 MHz processor and a 7.2Mbs HSDPA capability for enhanced data speeds. The S in the iPhone 3GS was “Speed”. The Third edition also got the much improvement in the camera from 2.0 Megapixels in earlier versions to 3.2 Megapixels AF. 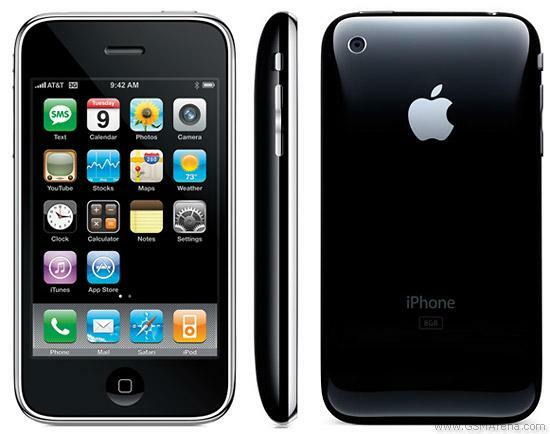 The iPhone 3.1 which will see the light of the day in June 2010 is the next installment from Apple. After the 3GS, iPhone 3.1 will be a 4G installment. VoIP may be the next big thing on the iPhone 4G. Over the last three earlier versions, the iPhone has not changed much in terms of its form. Knowing Apple, while they have grown in strength in the Apps market, they would not have been bidding their time resting of the laurels of iPhone. The design element in iPhone as suggested by this picture is an interesting evolution in the form factor. It is not just the curvature but the slimness that is striking. So then if Apple can do away with the CPU, have they done away with the thickness of the iPhone. Looks like that could be the case with iPhone 3.1.Watch this space!